It’s been 11 years, but you can still hear the words ringing throughout the campus of Michigan State University to this very day. A radical statement, to say the least. 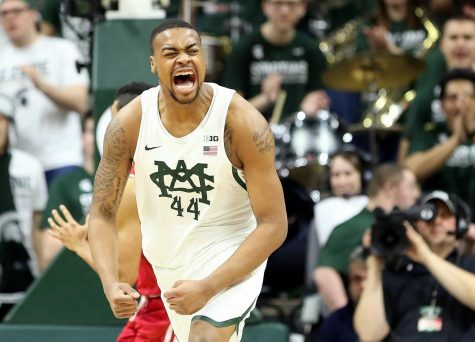 MSU just squandered a 10-point lead to their in-state rival, losing for the sixth straight year. Dantonio was leading a mediocre program in his first season as head coach. He was nothing in the light of the championship-winning Wolverine coach Lloyd Carr. Michigan State football was nothing and Michigan football was everything. What right could Dantonio possibly have to say what he did? But fast-forward to 2018, and Dantonio suddenly looks like a prophet. 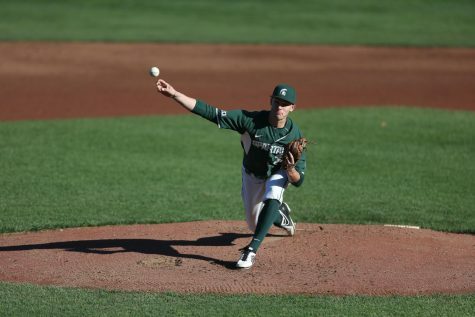 He has done the unthinkable in East Lansing, winning eight of the last 10 matchups against U-M. He did what shouldn’t have even been possible. “Well, I think one of the biggest reasons is that when I came here in 1995, you know, I experienced things first hand at the start when Coach Saban was here, and so I understood when I came back as the head football coach how important this game was to our fans, to the state, and sort of went from it from there,” said Dantonio at Tuesday’s weekly press conference. The sports culture in the state of Michigan has never been the same since 2007. U-M rolled through three different head coaches, trying to find someone to replace the retired Carr. But they each had one thing in common. They couldn’t figure out Michigan State. And it’s become a graveyard for Michigan head coaches. The Battle for Paul Bunyan is more than just a rivalry game. You have to be the best team in the state before being the best team in the country. Michigan probably won’t win the Big Ten without beating Michigan State. All of their hopes lie through East Lansing. But if they can’t beat their in-state divisional rival, how can they compete for the Playoff or win a Rose Bowl? How can they even think about beating Ohio State? Can Michigan football be Michigan football if they can’t win against the Spartans? 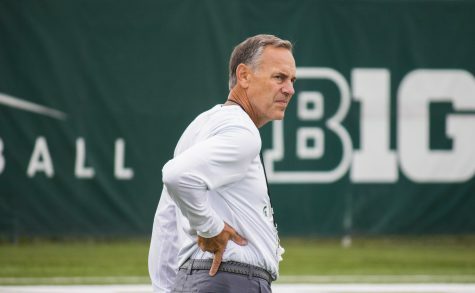 How has Dantonio flipped the rivalry on its head? For Michigan State, it’s always been about the chip on the shoulder. They want to crush Michigan more than any other team. There is a reason Dantonio beat the spread in all 11 of his matchups against the Wolverines. But it doesn’t end there. MSU’s entire roster is made of players who were overlooked as recruits. They were rarely 4 or 5-star athletes. They were the kids who were supposed to be good, but not great. So they went to a school that was supposed to be good, not great. It’s the same school that was academically and athletically in a Wolverine-shaped shadow for decades. Eventually, it all caught up to them. Rightfully so, the Wolverines have a big-time college football brand. They have nine national championships, fifth-most in all of football. 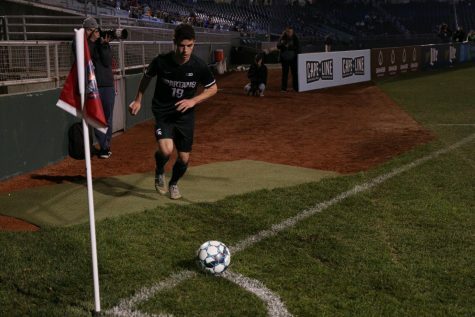 They have famous fans and alumni including Tom Brady, Michael Phelps and Derek Jeter. Their head coach is essentially a celebrity. They’re even sponsored by Air Jordan. There’s just no way to avoid the hype. Michigan State has none of that—not that they should. But when you see the same media groups who cover Harbaugh’s off-the-field antics fail to pronounce Dantonio’s name correctly, emotions will be high. This is why it is always important for MSU to stay under the radar. They need to be the underdogs. This year was a little different. The Spartans came into the year with huge expectations. And look what’s happened. The Spartans have played five horrible games. But right when everyone counted them out, they pulled off an upset at Penn State. All of a sudden, this team was good. Can it be that Michigan State’s Achilles heel is respect? It very well may be. This is why it is all the more important that the Spartans are home underdogs against a top-10 Michigan team. They need to be doubted. They need to be counted out. The moment that changes is the moment the Wolverines hold the emotional edge MSU has seemed to keep in the last decade. So if you’re a Spartan fan, you might as well place a ton of bets on the Wolverines. If you’re a Wolverine fan, do the same for the Spartans. The winner of this game might just be whoever is supposed to lose.